Malaysia is the fourth largest economy in Southeast Asia known for its high labor productivity and diversified economy. Over the years, the country has transformed itself from being a primary commodities exporter into a leading exporter of electrical appliances, electronic parts, and components and natural gas. Moving up the industrial value chain, it has also established itself as an attractive regional hub for services, information and technology, and the logistics sector. The service sector assumes the largest share of gross domestic product (GDP) accounting for more than 54 percent of GDP and serves as the engine of growth to propel and sustain the country’s economy. Manufacturing, on the other hand, contributes about 23 percent to the GDP. Some of the other major economic activities in Malaysia include the mining and agriculture sectors. In 2017, the service sector is projected to grow at a faster rate – approximately 6 percent, reflecting stronger expansion across most sub-sectors, particularly wholesale and retail trade, information and communication, and food, beverages, and accommodation, and increasing its share to 54.8 percent of GDP. 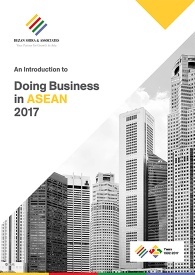 To help sustain economic growth and provide better conditions for businesses to thrive in the country, the Malaysian government took several policy initiatives in 2017. In March 2017, for instance, it launched the world’s first Digital Free Trade Zone (DFTZ) outside of China that aims to capitalize on the confluence and exponential growth of the internet economy and cross-border e-commerce activities. The DFTZ is expected to double the growth rate of small and medium enterprises’ goods exports to reach US$38 billion and facilitate US$65 billion of goods movement via the DFTZ (exports, imports, transshipments) by 2025. More than 2,000 small and medium enterprises stand to get easier access to the global market, especially the Chinese market, through the DFTZ. The DFTZ is also expected to generate 60,000 new jobs in the country by 2025. In its 2018 budget, the government announced wide-ranging incentives to support businesses, including capital allowance for ICT equipment and software, GST relief on services provided by the local authorities, and extended application period for principal hub tax incentive among others. The principal hub tax incentive aims to increase Malaysia’s competitiveness as the global operations hub for multinational companies by offering tax exemptions to companies that set up their global operation centers in Malaysia. The budget also announced personal income tax cuts as well as several cash handouts that would allow more money in the hands of consumers and help Malaysia develop into a high-income economy. The government has continued to work in line with its Transformasi Nasional 2050 (TN50) or National Transformation 2050 vision that aims to improve the qualitative growth factors of the economy such as labor force skills by preparing its citizens for future challenges such as the fourth industrial revolution (artificial intelligence, robotics, digitalization, etc.). 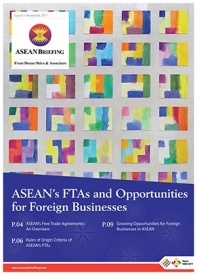 Malaysia holds strong FDI and trade prospects owing to its mega infrastructure plans such as the high-speed rail, East Coast Rail Link, and China’s One Belt One Road Initiative, as well as its strong bilateral ties with major economies such as China, the United States, Saudi Arabia, India, and Japan. Multi-regional economic links such as the Regional Comprehensive Economic Partnership and the Comprehensive and Progressive Agreement for the Trans-Pacific Partnership are further expected to boost foreign investments in the country. According to the Malaysian prime minister’s 2018 budget speech, the 14 business memoranda of understanding (MoU) signed between Malaysia and China, and 31 MoUs between Malaysia and India in 2017, for instance, are expected to bring about a total of RM302.4 billion (US$75.8 billion) worth of investments into Malaysia. 2018 is expected to be a promising year for the Malaysian economy. Last year, the Malaysian economy grew vibrantly at an average real growth rate of 5.9 percent in the first three quarters led by strong domestic demand and rising strength in global trade. The momentum is expected to continue this year. Several international organizations, including the World Bank and the International Monetary Fund, have projected Malaysia’s economic growth to sustain within the range of 5.5 percent and 5.8 percent this year. The growth is expected to be largely driven by domestic demand, particularly in the private sector, supported by stable labor market conditions and continued income growth. Investments with sustained flows of infrastructure projects and capacity expansion in major sectors of the economy such as mining and construction, services, and manufacturing are also expected to induce economic expansion on the production side.